The savory stir-fried radish cake is my favorite food. 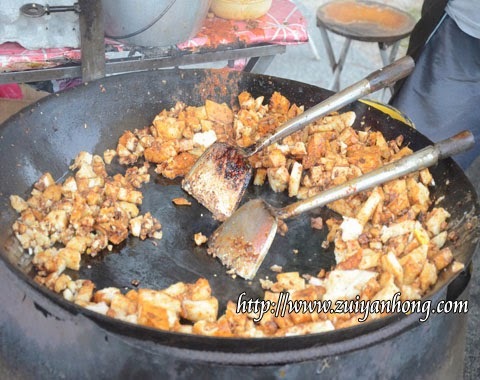 I had tried stir-fried radish cake of various places but the stir-fried radish cake of Merlimau night market I like it best. 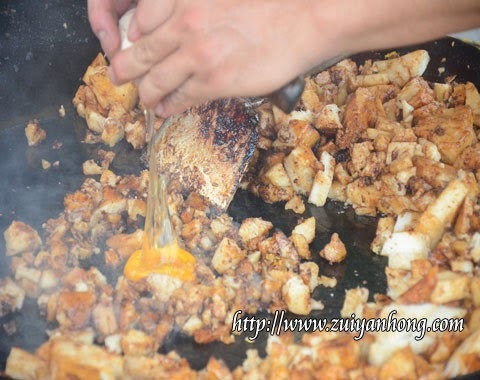 This is the stir-fried radish cake stall at Merlimau night market. The boss is a friendly young man. 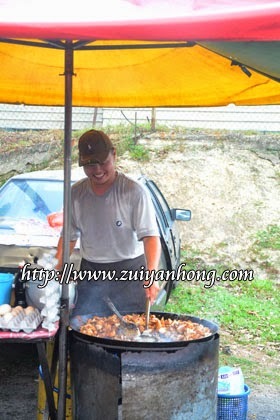 He was busy frying the mouth watering radish cake. The radish cake is fried with egg and without egg. The prices of the stir-fried radish cake are reasonable. 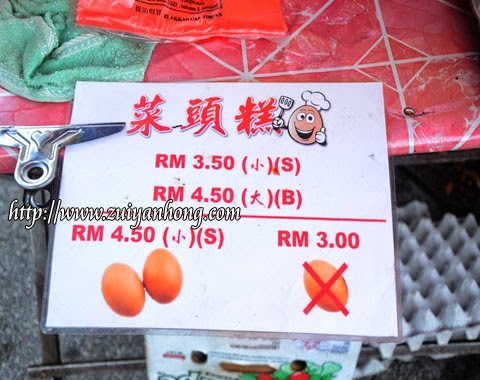 As you can see from the above photo the prices are shown clearly on the price list.